The Exo Terra Wire Light has a heat resistant porcelain socket designed to withstand up to 150 Watts (SM) / 250 Watts (LG). 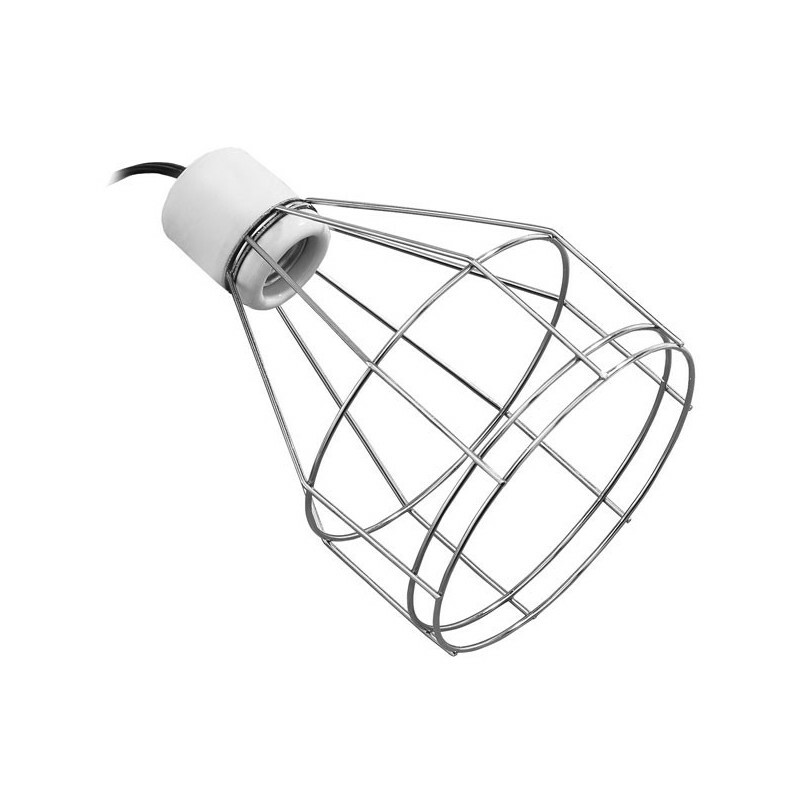 Ideal for use with Ceramic Heater, self-ballasted mercury vapour bulbs, and all types of regular incandescent bulbs. The wire guard prevents unnecessary heat build-up. 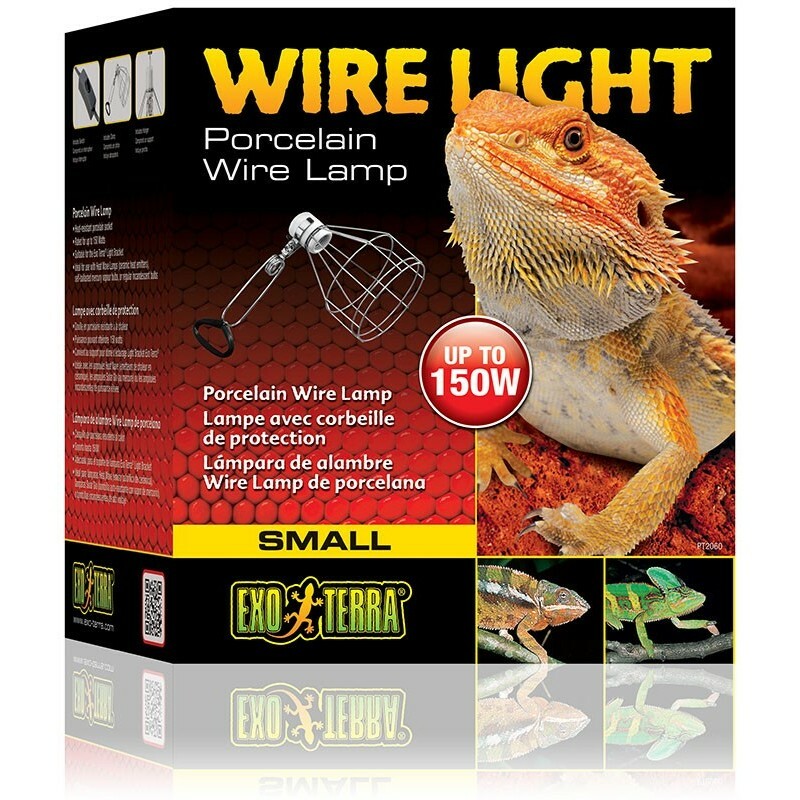 The Exo Terra Wire Light has a heat resistant porcelain socket designed to withstand up to 150 Watts (SM) / 250 Watts (LG). Ideal for use with Ceramic Heater, self-ballasted mercury vapour bulbs, and all types of regular incandescent bulbs. The wire guard prevents unnecessary heat build-up. The Exo Terra Wire Light is the only lamp that meets all safety regulations when used in conjunction with the Exo Terra Ceramic Heater. Combine the Wire Light with the Exo Terra Light Bracket to suspend it securely above any glass terrarium.